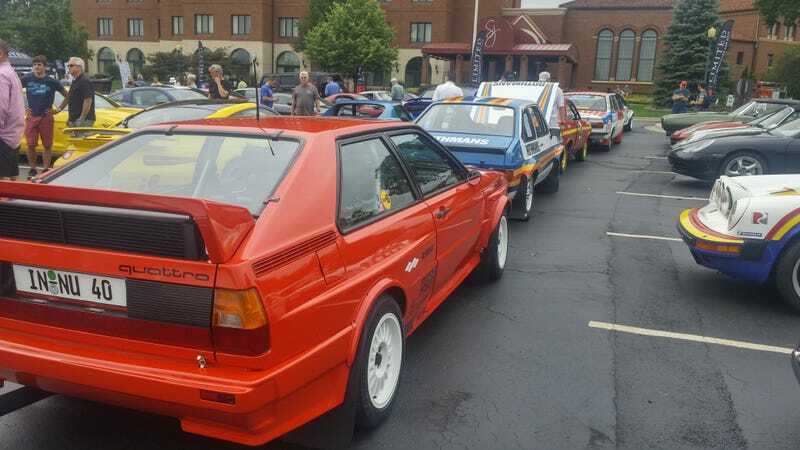 Because he just can’t get enough of cars during his normal work week, our man David Tracy is at the Cars and Coffee for the 38th Annual Concours d’Elegance of America in Plymouth, Mich. right now. This C&C happens before one of the biggest vintage car shows in the country, full of more than 300 dream rides. Join him live as he takes a tour! The actual Concours is happening today and runs through tomorrow at The Inn at St. John’s in Plymouth. If you’re in the area, you should go check it out. There’s also a Concours d’Lemons show going on in the same parking lot, and Jalopnik’s infamous $600 Moab-conquering Craigslist Project Swiss Cheese Jeep will be there. Come on out and meet a living legend.